Free trial offers can grab your attention. They’re easy to sign up for. And they’re, well, free – right? Not exactly. Some free trials can be expensive. Scammers often use “free” trial offers, with undisclosed or buried terms, to enroll you – without your knowledge – in costly membership programs. At the Federal Trade Commission, we’re actively fighting to take down these scammers. Today, we announced a case against a group of them. But the best first line of defense is you. Please watch this video, know the signs of a free trial scam, and share them with your friends and family. To learn more about free trial offers, visit FTC.gov/freetrials. 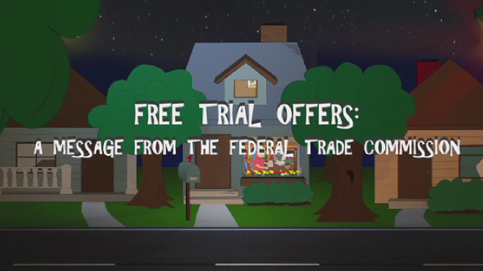 If you’ve been wrongly charged for a free trial offer, report it to the FTC.